Our friend Leonardo Chevy is back on fire! After a great remix, now is at forefront on SNKE department… and did it in superb style. 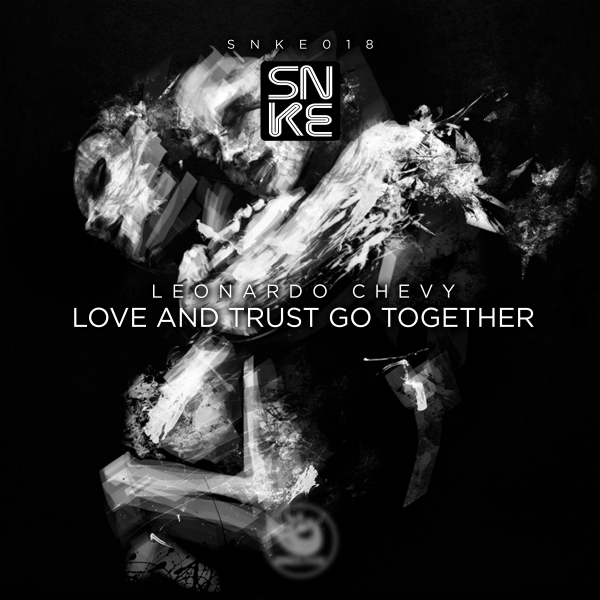 ‘Love And Trust Go Together Ep’ is an incredible 3 tracks package that really express a magnifical musical concept by the producer with a deep charming voice over.‘Love And Trust Go Together’ is an amazing piece of solid Deep House that contain a well builded atmosphere, in perfect old school style. Great breathe track, refined but extremely effective on dancefloor. Well composed melodies with original and fresh synths. ‘Throbbing’ is the sick side of the ep. Rounding and bouncing rhythm with some subtle alterations and groove games until the middle break. Really simple but effective and useful even on big dancefloor. More progressive roots on ‘Lights On Deserts’ with strong and straight groove. Synths melodies transmits some horror flavour that create a suggestive atmosphere on dancefloor. People will appreciate. No reasons to miss this incredible hit by Leonardo Chevy.